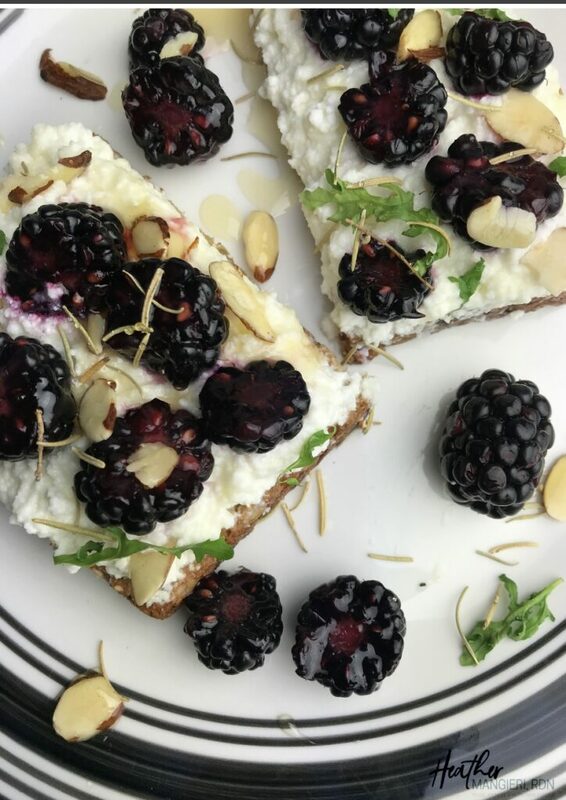 This ricotta and blackberry toast is filled with high-quality protein, fiber and phytonutrients. Make it for a quick balanced breakfast or as a snack to fuel you between meals. When it comes to quick meals, there’s nothing much easier than popping a piece of a toast in the toaster. Toast may not seem like a balanced meal, but if you make it right, it can be. That leads to the question – What do I mean by “making it right?” By right, I mean it includes a variety of macronutrients while supplying your body with vitamins, minerals and phytonutrients. If you’re not sure what that looks like, my article Building a Balanced Meal explains more. 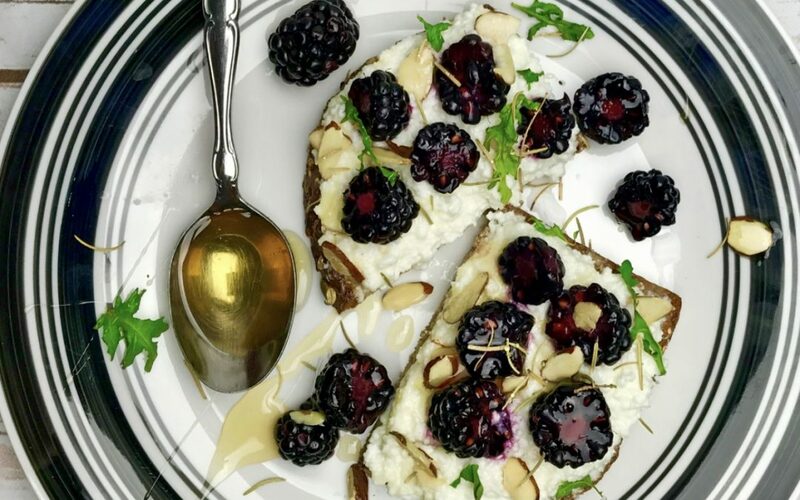 This ricotta and blackberry toast meets the criteria. 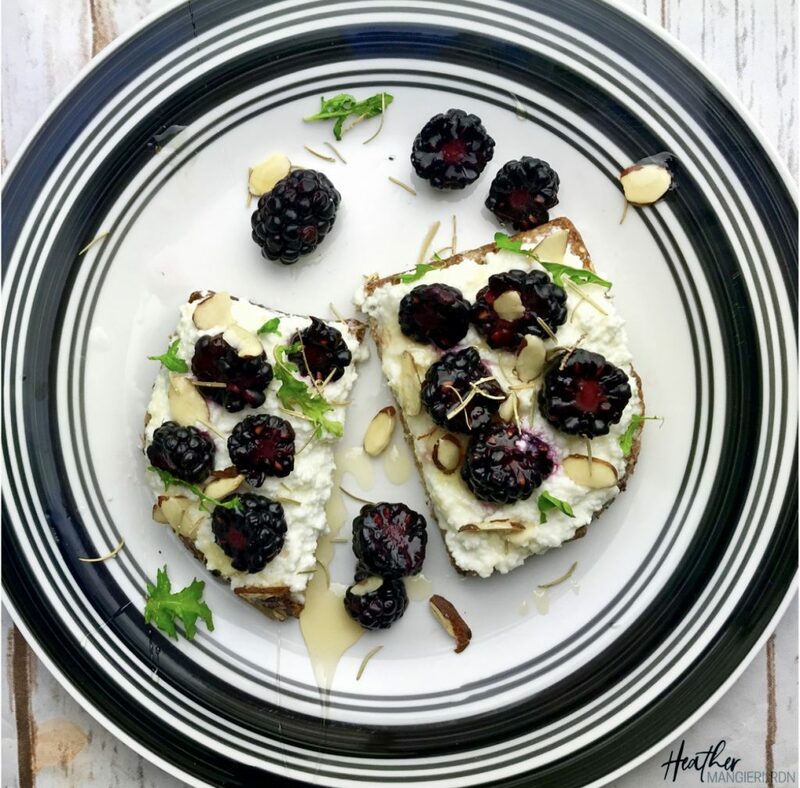 The whole wheat toast, blackberries and honey supply both complex and simple carbohydrates, while the ricotta cheese and almonds provide protein and fats. This combination not only delivers the nutrition that you need, it is filled with flavors that make eating enjoyable. The best part, it only takes a few minutes to make. The next time you’re in a rush and need something quick, pop a piece of toast in the toaster and top it with ricotta and blackberries. Then, you can run out the door with a meal you can feel good about eating. Toast whole wheat bread. Spread with ricotta cheese, then top with sliced blackberries and almonds and rosemary. Drizzle with honey. Serve warm.